Pizzino's last day of service will be this Saturday. 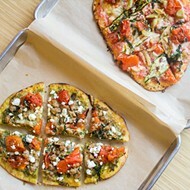 Pizzino, the fast-casual pizzeria in Clayton's Wydown area, will serve its last customers this Saturday, December 5. 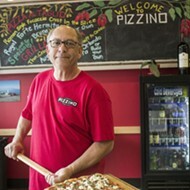 Owner Jim Zimmerman made the announcement last Friday on Pizzino's Facebook page. Zimmerman cites the restaurant's inability to hit revenue targets as the reason for the closure. He told Riverfront Times he wasn't sure why the concept never took off: "Being a first-timer in this business, I'm sure I have made some missteps that have held us back, and I will try to reflect on them when all is wrapped up." Pizzino opened one year ago in the spot that formerly housed an outlet of the Southern California chain Z Pizza, in a strip mall that's a bit off the beaten track. Still, it attracted favorable attention from food lovers, including my positive review in April, one in the Post-Dispatch in May and the RFT's award for Best Bread in our 2015 Best Of St. Louis issue. Pizzino's last day of service will be December 5th. 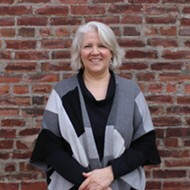 The restaurant was Zimmerman's first foray into the industry after a long career in his family's flour business. After selling that company, Zimmerman pursued his lifelong love of cooking by attending culinary school. Baking was a natural fit for the former flour mogul, which led him to perfect several different kinds of pizza crusts. 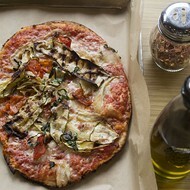 He offered two versions at Pizzino, both a thin, grilled style and a thick, Roman-style version served by the slice. We are sad to announce that we are closing Pizzino and our last day of operation will be Saturday, December 5. All of us at Pizzino appreciate the support and patronage you have given us over the last year and we will certainly miss the opportunity to continue serving you. While we have not been able to hit the revenue targets needed to continue operations we felt good pursuing this dream and we hope you enjoyed your dining experiences at Pizzino. 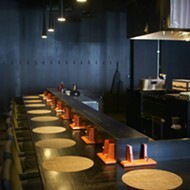 We wish you the best and again, thank you for visiting and supporting Pizzino. We are always hungry for tips and feedback. Please email the author at cheryl.baehr@riverfronttimes.com.